Many people believe that slots are nothing but games of chance and they refuse to acknowledge the existence of any valid slots strategies. Since there is no direct way a player can influence the game, these players maintain that nothing you do makes any difference. You either win or lose and that’s that. However, although luck plays a major role in playing slots, certain casino strategies can still be used very effectively to give increase your chances of winning. It is true that these strategies have nothing to do how fast you press spin and stop buttons. Instead, they deal with the best way to select online slots, proper bankroll management techniques, and utilizing casino bonuses to give yourself the best shot at winning. We’ve already touched upon this subject in our slots tips & tricks section, but seeing how important money management is for your success at online slots, I feel it necessary to really emphasize this topic and give some concise pointers. Simply put, even the best slots strategy won’t help you if you run out of money to play with; and, if there is one thing that is easy to happen when playing slots, that’s running out of money. If you are not careful, it is very easy to start betting bigger because you are chasing your losses or feel like the machine is due. All three pieces of advice are equally important. Restricting the amount you can lose in one session, you are ensuring that you don’t get your bankroll decimated in a very long and particularly unlucky session. It is hard to quantify luck to be sure, but for whatever reason, there are days when reels will just refuse to stop your way. Instead of “soldiering through” at all costs, simply get up and walk away. There is always time for another battle. Losing can be very frustrating, as we all know all too well. When it comes to online slots, one of the most natural reactions is to start increasing your bet to try and catch up and maybe even make some profit. But, as natural as it may seem, you must resist this urge. From time to time it may work for you, but more often than not it will be a one way ticket to bust-city. Finally, once you start losing control over your emotions and begin to feel angry at slots for not letting you win, it is definitely time for a break. There is no telling what you might do in this type of an emotional state, but in most instances, it won’t be good for your bankroll. Even though a good online casino bonus Comparison can come in handy regardless of your game of choice, they are particularly important for slots players and play a crucial role in slots strategies. The reason for this is that playing slots is the easiest way to meet the playthrough requirements and actually get to profit from the bonus quickly. With other games, like online blackjack, it can take a while before the money actually becomes available to you; with slots, since most wagers are counted at 100%, you can often meet the requirements within a day. With so many casinos out there offering really generous first deposit and reload bonuses, there is hardly ever a reason to play without one. Online slots can be really volatile and having that extra 100% or 200% in your bankroll will get you a long way. Additionally, putting someone else’s money on the line instead of your own can be a really good feeling. Whenever possible, try to play on casinos that have reasonable requirements, like 30 or 35 times the amount, but sometimes, when the bonus percentage is really big, it may be worth playing even with somewhat worse conditions. 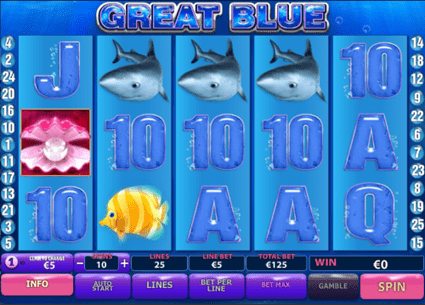 All slots may appear very similar at the first glance, but differences between particular games are quite extensive. If you want to give yourself the best shot at winning, you need to find the slots that “like” to pay. How do you do this? First and foremost, not all online slots have the same payback percentage. Although this is not a secret per se, many less experienced players are not aware of the fact. Some games pay only 91% while there are others that pay as high as 98%+. You always want to play on slots offering the highest percentage and avoid the ones that are set really low. While there are no guarantees, you will have much better odds and will have to deal with much less variance playing better paying slots. We’ve reviewed a number of well known online slots, including Cleopatra and many others, to find out all important information about them, including the rate of return. As a player, you always want to know what you are getting into so make sure to find out before you start playing. Another important factor to consider when choosing the game is the variance. While this is not easily quantifiable, there are definitely slots that pay smaller amounts more often and there are also those that pay big here and there, but with much lower frequency. 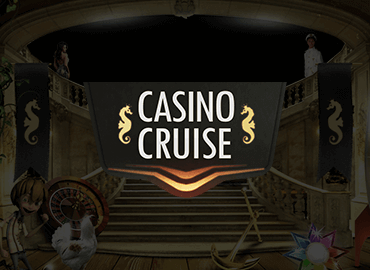 Ideally, you should choose a slot that offers several different bonus features, giving you more chances to win moderate amounts. This is especially true while trying to meet playthrough requirements for a bonus as you want to play as many spins as possible while not losing too much money. 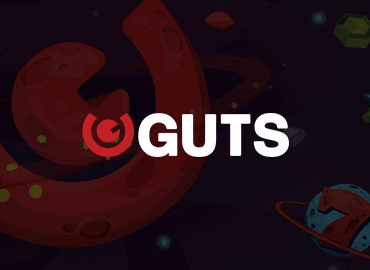 In line with that philosophy, you should pick an online casino which, aside from a good bonus, also has a good offering in terms of games, ideally from several different slots manufacturers. That way, you will be able to find several different slots meeting all of these requirements, so apart from giving yourself the best chance to win, you will also have fun trying different games. Despite of what many people believe, there are actually real and effective slots strategies you can use when playing. Things mentioned in this article are among the most important and most effective ones. Having good control over your bankroll, taking advantage of online bonuses, and always playing the games that offer you the best chance to win will get you very far. Of course, there is no an absolute way to beat slots, as the casino will keep their edge no matter what. Using these tips & tricks, however, will help you decrease that edge significantly and give you much more playing time while waiting for your big hit.